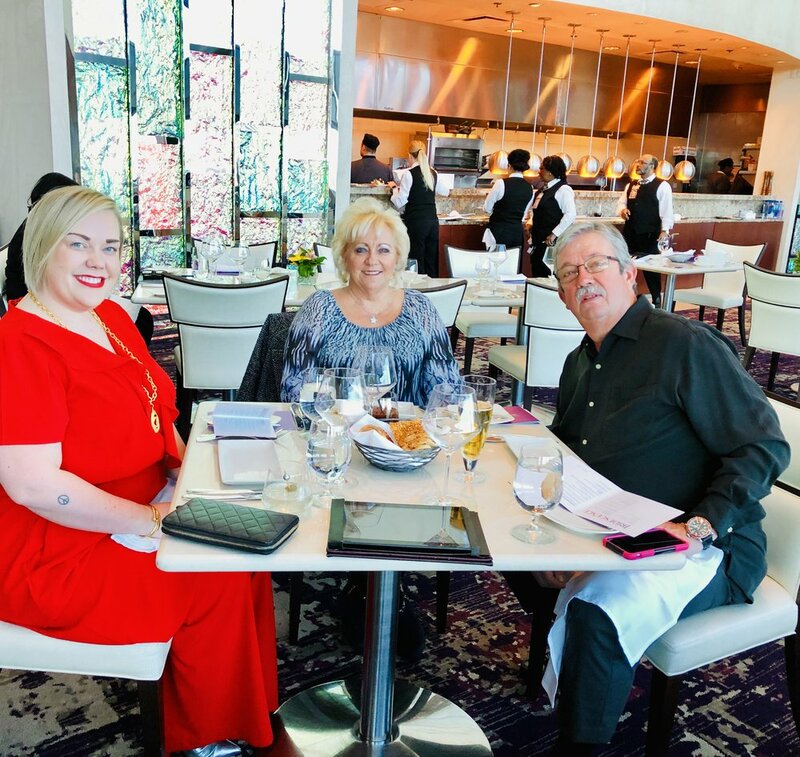 Last week, I had the honor of attending a blogging event at Iridescence, the beautiful, high-end Modern American restaurant located at the top of Motor City Casino. The event was a celebration of the restaurants new chef, and Iridescent invited Detroit bloggers to sit down and enjoy a special peek of the spring menu. Iridescence, according to its website, is the only AAA 4 Diamond Award-winning restaurant in Detroit. The restaurant has spectacular views of the river, the Detroit skyline, the Ambassador Bridge, and part of Canada. The restaurant’s interior is quite a spectacle as well. We got to sit in a private area of the restaurant. The event happened to be on my birthday, and lucky me got to bring my parents along with me as part of the celebration! 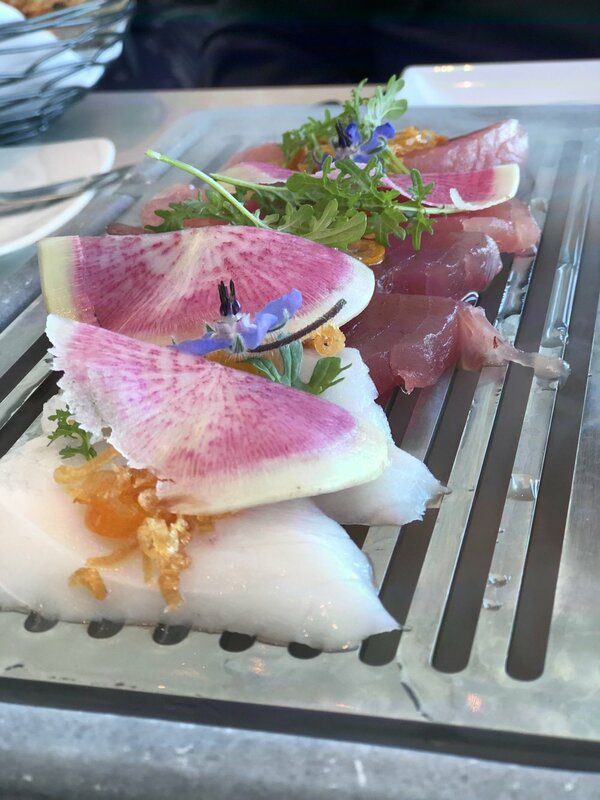 The hamachi sashimi appetizer was fantastic and delivered to the table with a broth that created a steam and surrounded the fish to add flavor and scent. The fish was super fresh and light. The oyster presentation was beautiful and had some unexpected flavors that were very unique and tasty. The Dungeness crab and lobster dishes were really great. The crab was baked, and the squid ink hollandaise made it truly spectacular. The lobster melts in your mouth. This soup was was perfectly executed and poured fresh at the table. 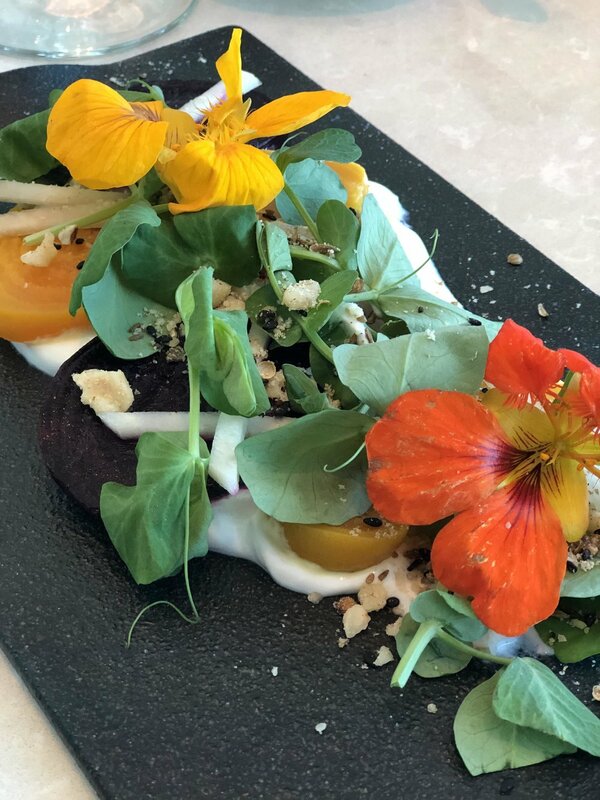 The baby beet salad was fresh and light- the perfect prep for the entree. The surf & turf entree was definitely the stand out of the evening— seriously, to die for! Overall, the food, atmosphere, and service was spectacular- a really positive experience. I was even surprised with this delicious s’more treat for my birthday! Thank you so much to Iridescence for inviting me to come and enjoy a beautiful birthday meal with my parents. Also, thank you to the staff for the incredible, accommodating service. Iridescence is a great place to impress a date or to have a classy evening with your friends. Have a drink, enjoy the views, and eat modern American cuisine that is truly to die for.